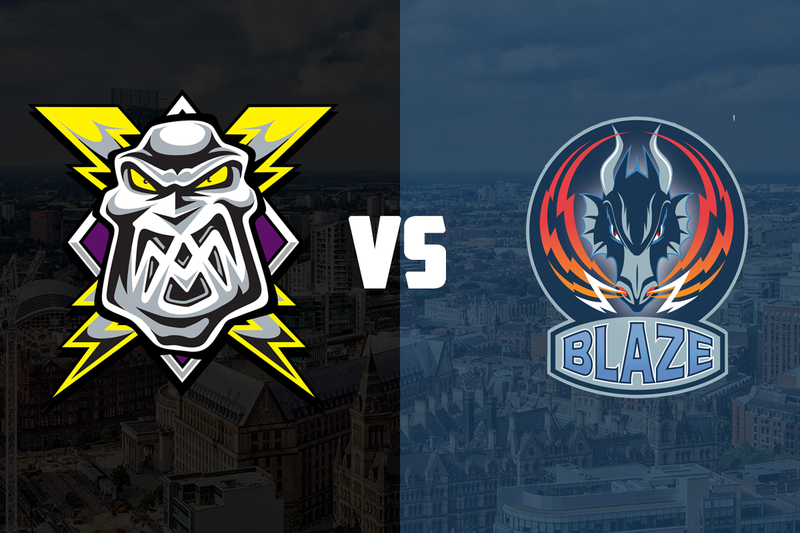 Your Go Goodwins sponsored Manchester Storm face a trip to Coventry this Sunday to take on the Blaze in a vital Patton Conference game that faces off at 5:15 pm in the SkyDome Arena. The race for the Patton conference has started out evenly between the four sides, each securing at least a point per game on average. Guildford are in fourth position, having 6 points from just 5 games. Coventry are 1 point ahead with 7 from 7 games, Storm sit in second with 11 from 10 games and Milton Keynes have 12 points from 10 games at the top of the standings. A victory for the Storm would see them leapfrog the Lightning, while a Blaze win would help them chase down both sides above them. There were mixed fortunes for the sides last night, as the Blaze travelled to Milton Keynes and Manchester faced Nottingham. The Blaze faced a Lightning side determined to break their recent run of poor form, and went down 6-1 on the night. Three powerplay goals and an empty-net goal for the Lightning were enough to overcome the Blaze, with Ryan Dingle scoring the solitary Blaze goal on the evening. Storm had a tight match against the Panthers, and went down 1-0 in the second period on a 5-on-3 penalty kill. A Dallas Ehrhardt goal 3:42 in to the final period was enough to take the game to overtime, where Matt Beca was the hero scoring on the powerplay after 51 seconds. It was a solid night for Mike Clemente, who turned away 30 shots in the Storm net. The Storm and the Blaze have met three times this season, with the away team prevailing on every occasion. The Storm travelled to Coventry in early September and early December, winning 4-1 and 4-2, respectively. The Blaze returned the favour in mid-September, shutting out the Storm in Altrincham 5-0. Top scoring for the Storm has been Matt Beca and Mike Hammond, with 7 points and 6 points, respectively, against the Blaze. Marc-Olivier Vallerand and Jordan Pietrus have top points scored for the Blaze, both grabbing 5 points in the 3 meetings. In nets, Mike Clemente has faced 103 Blaze shots, saving 95 for a save percentage of 92.2%. Kevin Nastiuk has faced less rubber in the Blaze nets, saving 67 of 75 shots (89.3%). In the special teams matchups, the Blaze have 1 powerplay goal from 17, while the Storm have scored 3 from 13 opportunities. One to watch: Adam Courchaine is on an eight-game pointstreak, scoring 2 goals and adding 7 assists during that time. 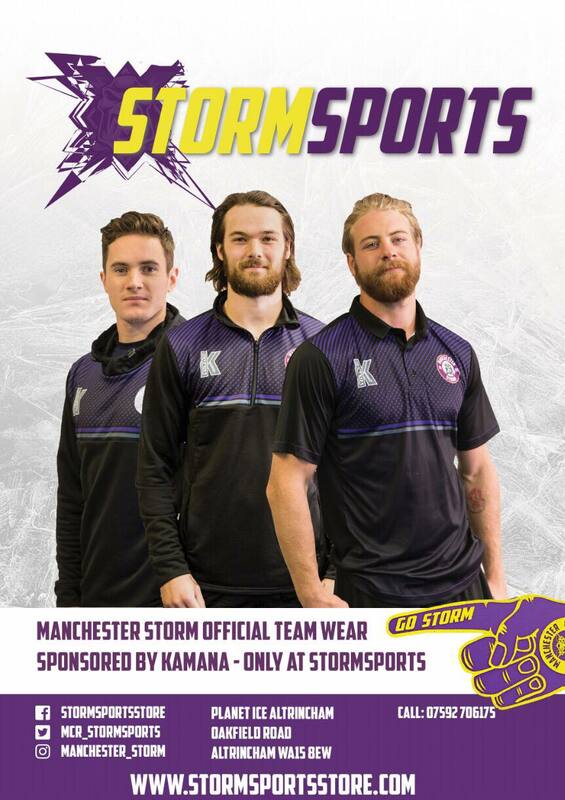 REPORT – Storm win OT thriller against CHL Heroes!